If you have an Elite business video hosting plan with unlimited users, you can add and manage users yourself. The process is really easy. 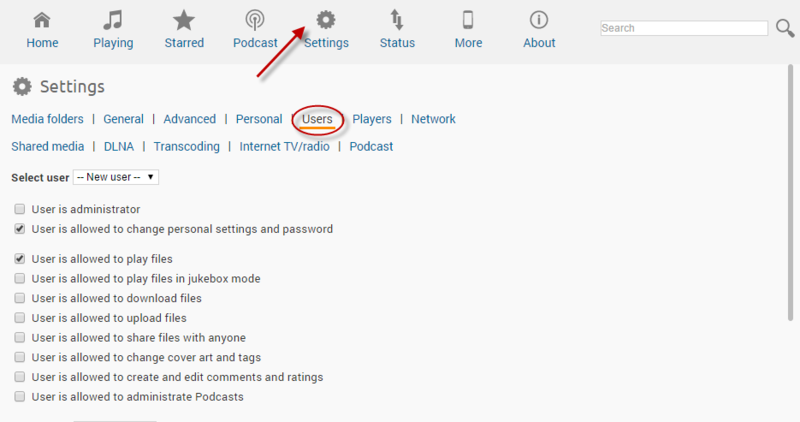 First you will want to navigate to your subsonic site and click the settings tab at the top then click users. From here you will want to select new user from the drop down and select the permissions and options that you are granting this new user. Is the user an administrator? Is the user allowed to change their settings and password? Is the user allowed to play files? Is the user allowed to download/upload files? Can the user share files with other people? Can the user change your cover art and tags for your music? Can this new user make comments and ratings? 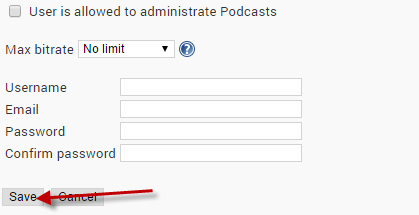 Is this new user allowed to add podcasts? 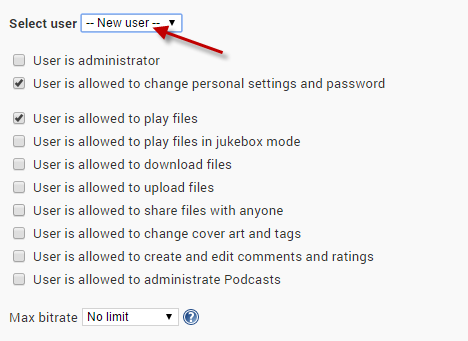 Once you have selected all of your permissions and options, you will want to scroll down and input the desired username, email and password for you new user. After you have input all of your new user’s information, click the save button. This will create the new user and password. You can go back up and click the dropdown box to make sure that the new username shows up in your list. Now send your friend their login credentials and they can start sharing videos and uploading their own music to your hosting plan. If you do not have an Elite plan, you can request additional users via our helpdesk. We will respond ASAP confirming when the new username and password has been added and is activated.